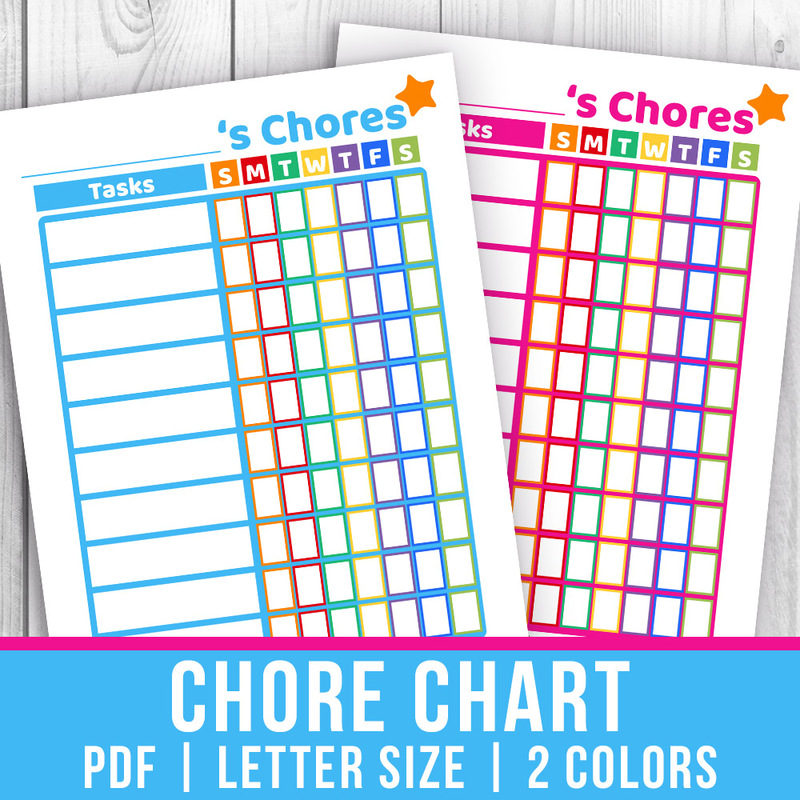 Free Printable Kids Chore Charts. Do you have trouble motivating your kids to do their chores? No one, young or old, truly likes doing chores, but it’s important for parents to assign their children chores, and ensure they get completed. Chores teach your kids about how to take care of a home, how to manage their time, how to be responsible, and gives them a taste of what it’s like to have to do tasks for a real job. But they won’t learn any of that if they never actually do their chores! 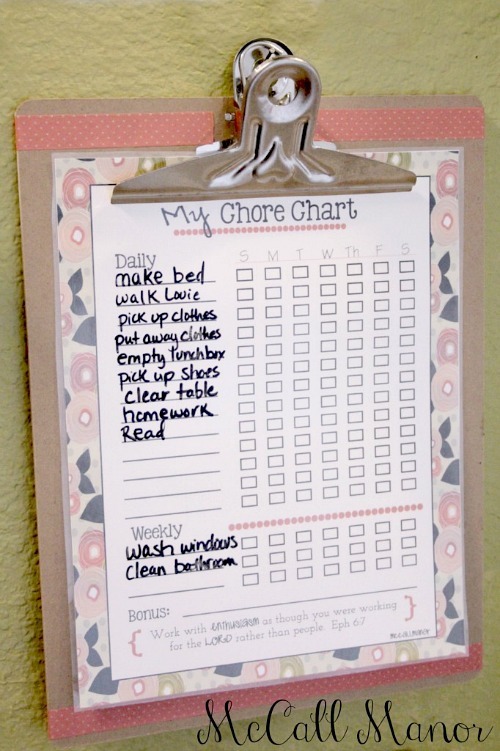 Luckily there’s one easy way to motivate kids to do chores: with a chore chart! 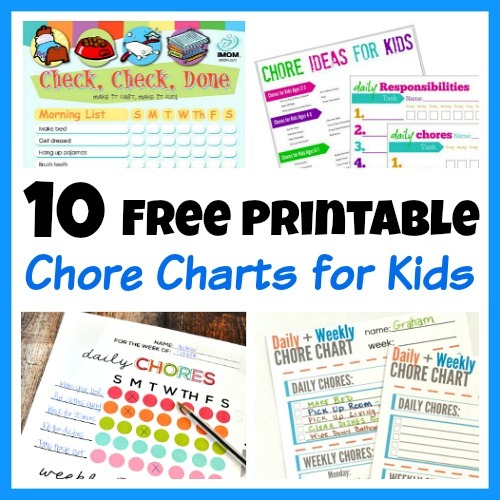 To help you and your kids out, here are 10 Free Printable Chore Charts for Kids! 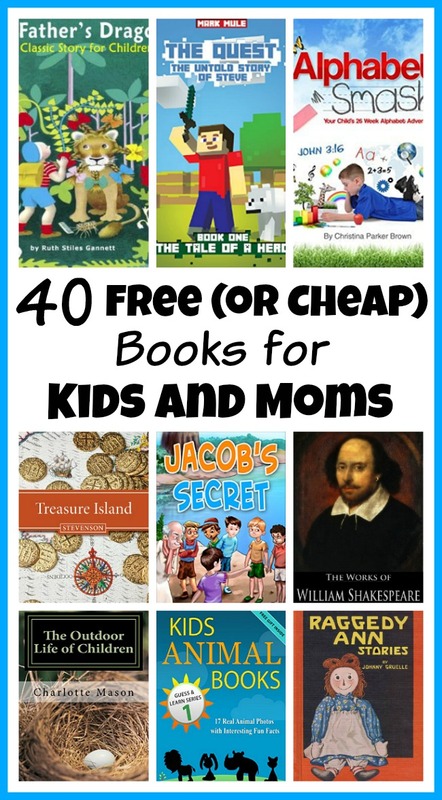 This list includes charts suitable for little kids, older kids, and teens! If you wanted, you could look into the psychology behind motivation and things like chore charts. But at the base of it all are the same psychological factors that make checking things off your grown-up to-do list so satisfying. Having a list of things left to do bothers most people, and that moment of happy accomplishment you get when checking off a task motivates you to keep checking off tasks so you can feel that way again. Of course, to check off a task you have to actually do the task! This cycle of motivation to happy achievement makes chore charts great ways to motivate kids of all ages! 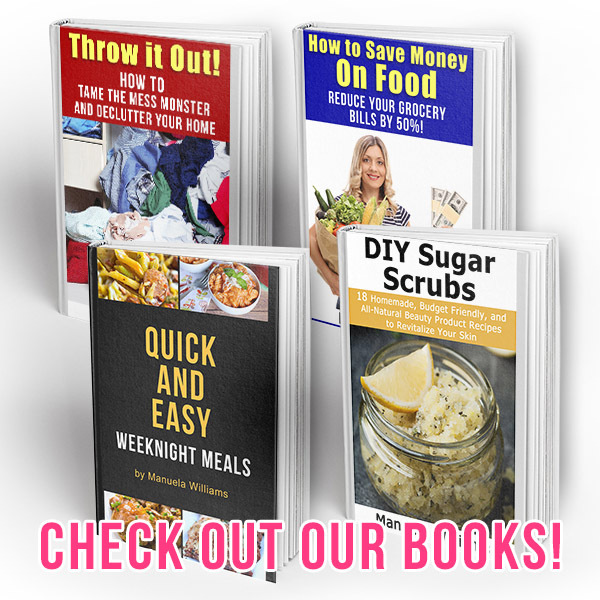 Don’t want to waste time trying out a bunch of freebies? 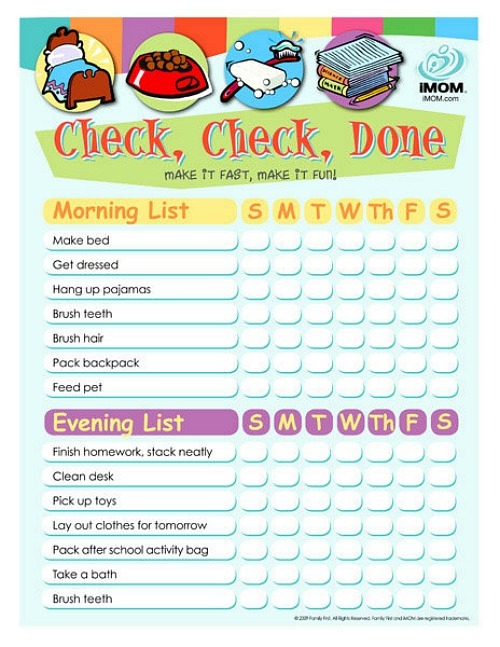 You should get our kid-approved Chore Chart! 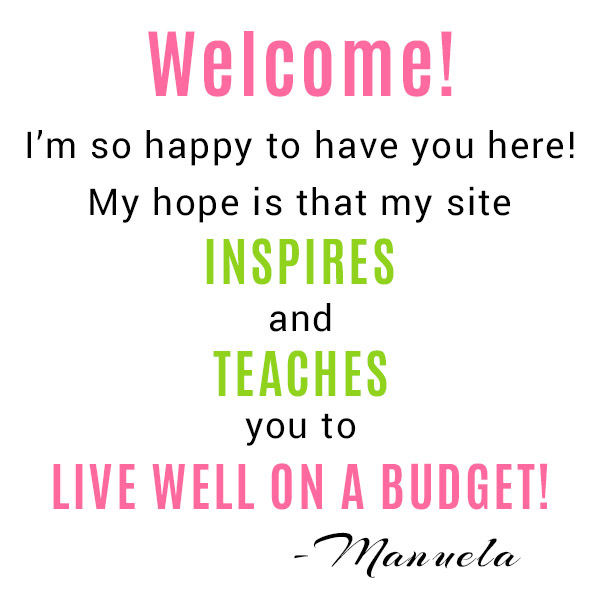 Both blue and pink color themes are included! If you want to connect your chore chart to some sort of payment system, either in real money or in tickets/points/imaginary money redeemable for fun things, that could help add to the motivation. But it’s definitely not required. What you should ensure you do, though, is put the chore chart up somewhere where your kid can easily get to it to see what needs doing and to check it off. 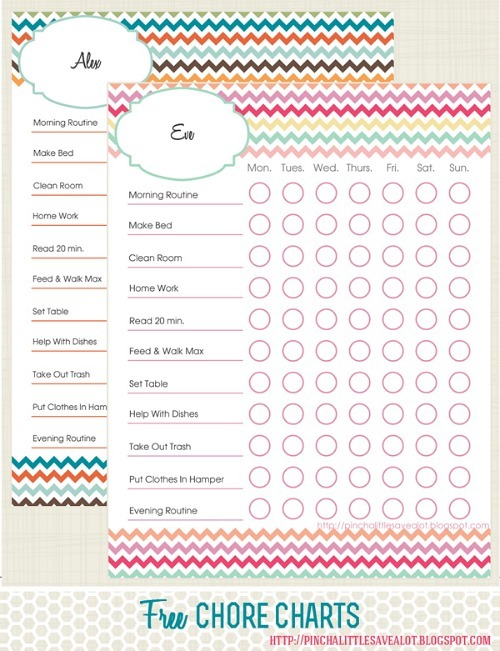 I’d suggest using a clip board hung on the wall, a cork bulletin board, a dry erase board (with a magnet), or a memo board to hang up these free printable chore charts for kids. 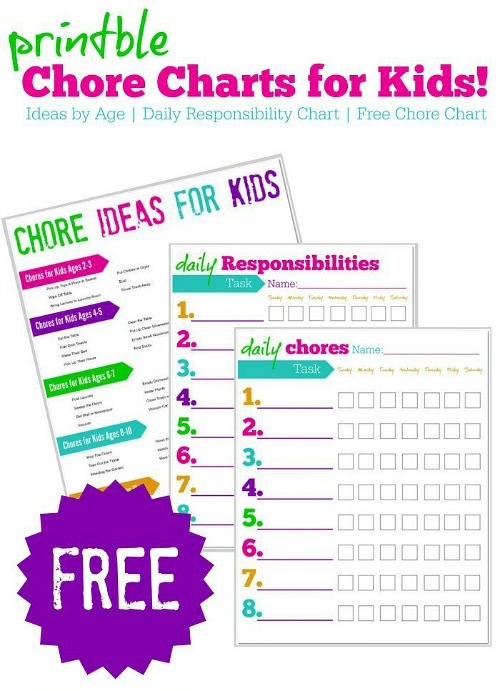 I love that this free printable chore chart comes with chore ideas for different ages! With this pretty, subdued color scheme, this would be a great chore chart for older kids! 3. 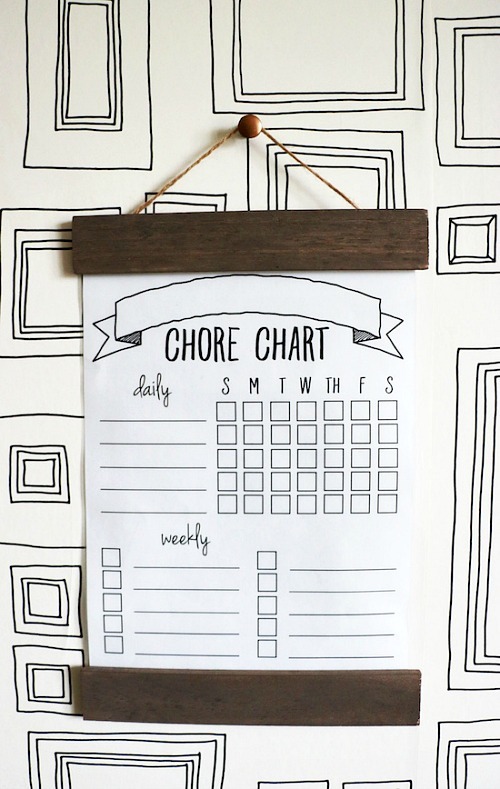 Printable Black and White Chore Chart by Sincerely, Sara D.
I know that teens would love to use this free printable chore chart! Actually, even I want to use this one. The design reminds me of some bullet journal pages I’ve seen. 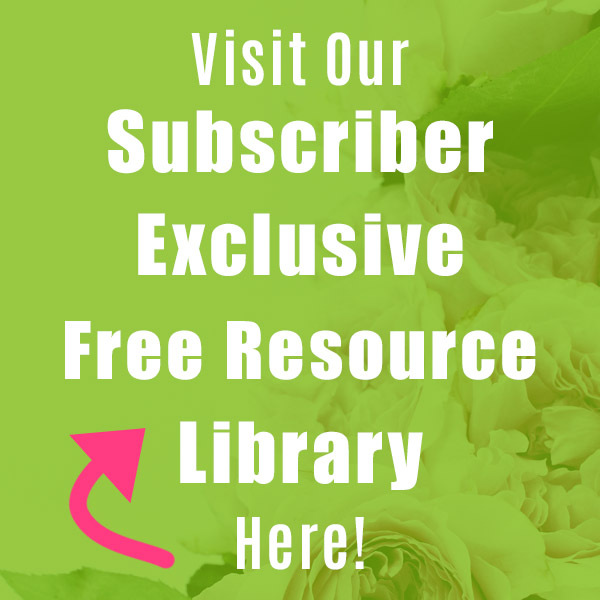 Any kid that likes flowers will love this free printable kids chore chart! Isn’t this just an adorable preschool age chore chart? 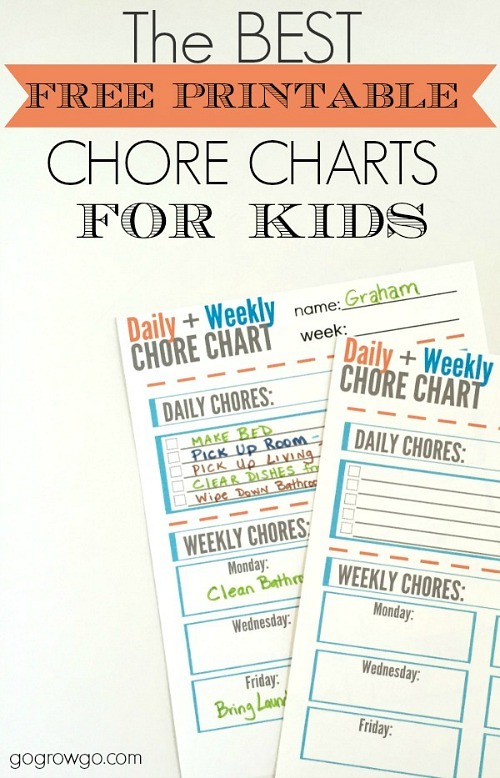 Here’s another great free chore chart for the older kids! I love chevron, and I’m sure a bunch of kids do, too! 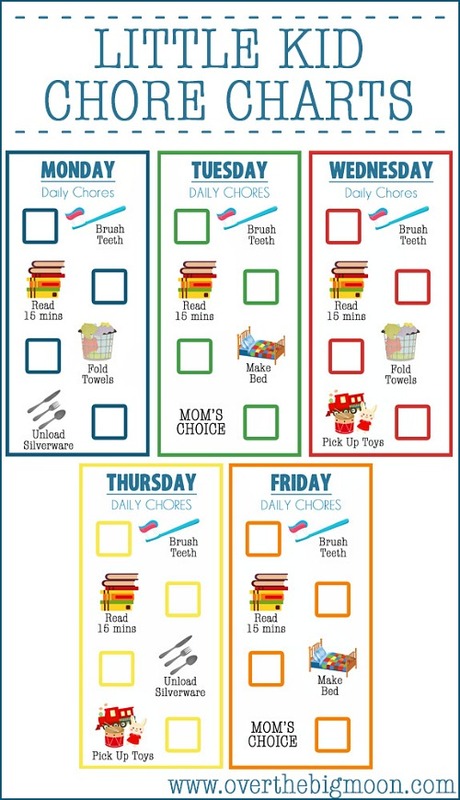 Younger kids tend to benefit from more visual aids, so I’m sure this printable chore chart for little kids would work well! 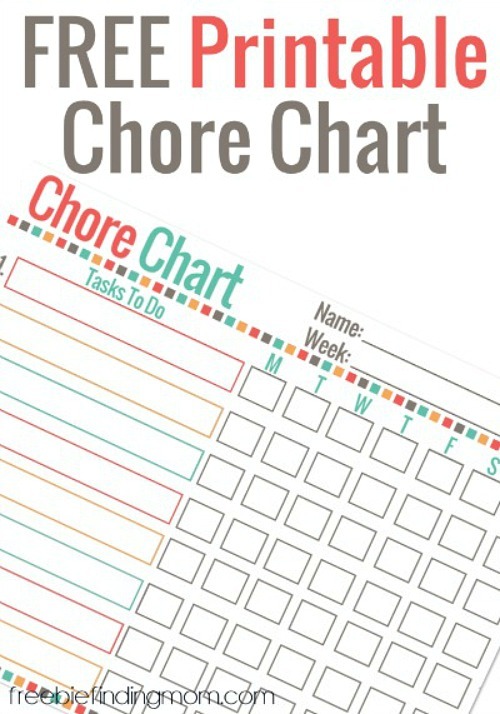 This is such a well designed chore chart! I love that it’s broken up into morning and evening. 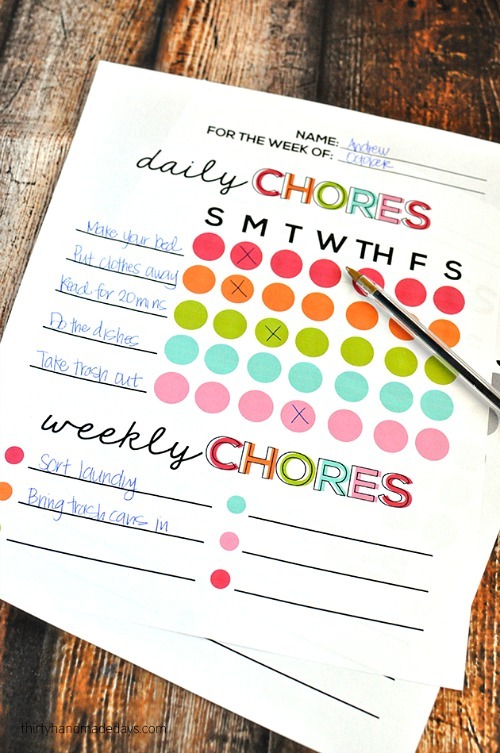 This is a clever idea- breaking up daily and weekly chores but on the same page. 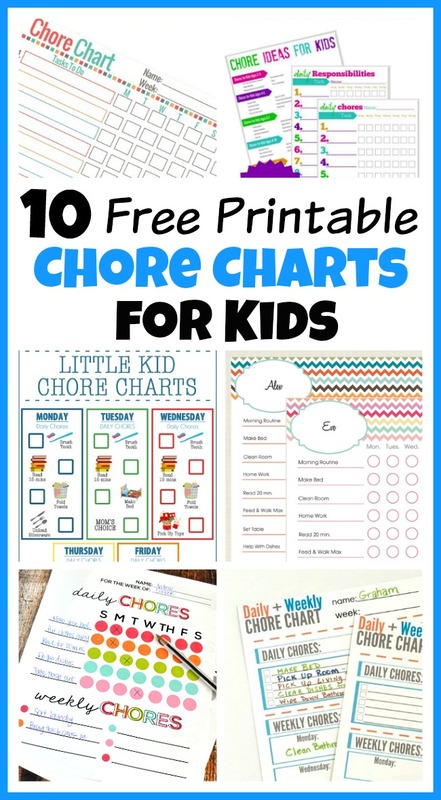 While free printable chore charts are great, I had a hard time finding the right ones for my kids. Either the layout didn’t work for me, or the theme/colors didn’t work for them. So I ended up making my own chore chart, and I’m happy to say that it’s kid-approved! 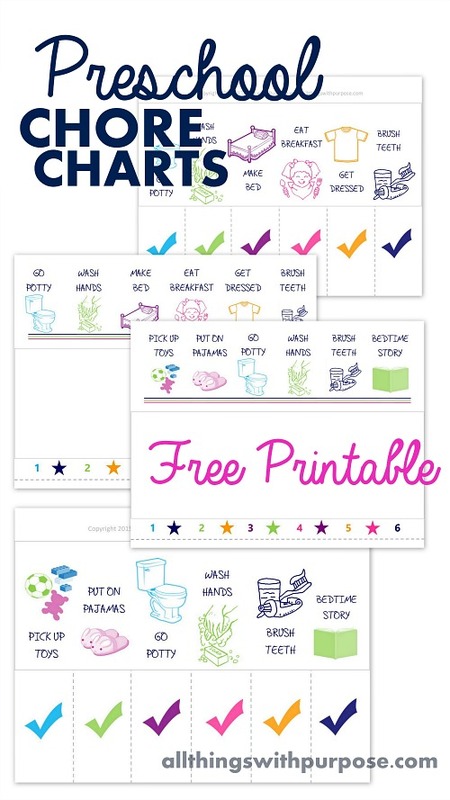 It’s not free, but you get two colors for the price, and you won’t waste time printing out a bunch of chore charts your kids won’t want to use. 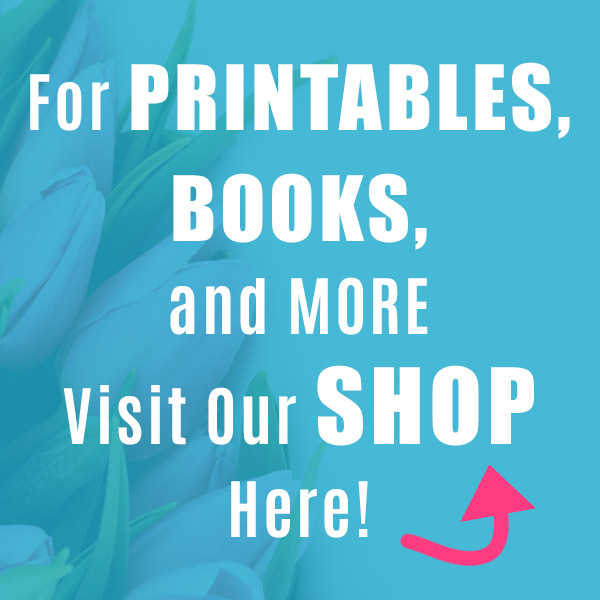 You can check out my printable chore chart for kids in the A Cultivated Nest Shop. Did you have a chore chart to follow when you were a kid?